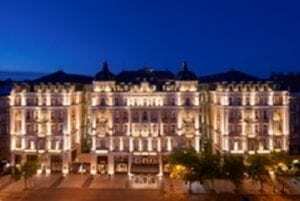 Rose petal-strewn beds, glasses of chilled champagne, candlelit dinners a deux, a couple’s massage and idyllic escapes are all on the menu for Valentine’s Day at five luxury Corinthia Hotels around the world. The landmark city hotel is the backdrop for A Corinthia Love Story, a Valentine’s Day escape which includes an upgrade to a rose petal-strewn room, champagne and chocolate strawberries on arrival, a three-course dinner with complimentary glass of wine, a 25-minute massage in the Royal Spa and a buffet breakfast the next day. Love at Corinthia is valid from February 1-28, 2019. For more information click here or call +36 1 479 4000. Escape to the tranquil surroundings of the Corinthia Palace Hotel & Spa in the heart of the island, book a rose petal-strewn Deluxe Room, enjoy a back, neck and shoulder massage at the Athenaeum Spa, and make the most of the in-room aphrodisiac menu. The Valentine’s Escape is valid from February 13-17, 2019. For more information click here or call +356 2144 0301. Luxuriate in one of Corinthia Hotel Lisbon’s new Deluxe Junior Suites with a romantic three-course dinner served in the privacy of your room which includes a glass of champagne, plus early check-in, breakfast, and late check-out. The Romantic Escape is valid from February 9-19, 2019. For more information click here or call +351 21 7236363. Treat your loved one to a romantic stay at Corinthia Hotel London, one of the city’s top luxury hotels. Enjoy an overnight stay in an elegant room or suite and access to the award-winning spa, ESPA Life. During your stay, a bottle of chilled champagne and sweet pastries will be waiting on arrival and, later on, a rose petal-strewn bed will surprise and delight in the evening. The spa’s sumptuous Thermal Floor is the perfect place to relax and unwind, with its swimming pool, amphitheater sauna, steam room and more. Romance in London is valid throughout 2019. For more information click here or call +44 (0) 20 7321 3000. Relax in sea view accommodation on the Mediterranean island of Malta at Corinthia Hotel St George’s Bay, enjoy a 50-minute, full-body couple’s massage with a glass of bubbly and chocolate truffles, full use of the Apollo spa, breakfast and late check-out on the day of departure. Magical Moments is valid from February 14-17, 2019. For more information click here or call +356 2137 4114. All packages are subject to availability and blackout dates may apply. 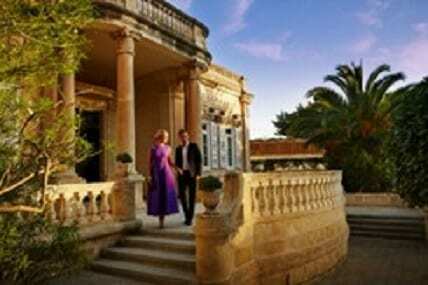 For further information on the Romantic Escapes, please click here. The purchasers invited to this edition will be traveling from 39 countries, some of which are United Kingdom, Argentina, China, Russia, India, United States and Colombia.